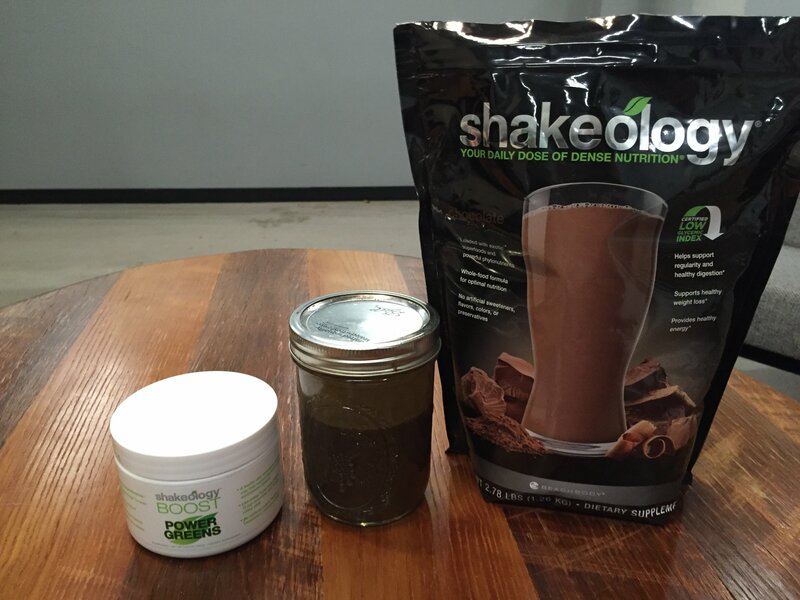 Home » Shakeology & Power Greens Boost Review — Is This the Ultimate Post-Workout? 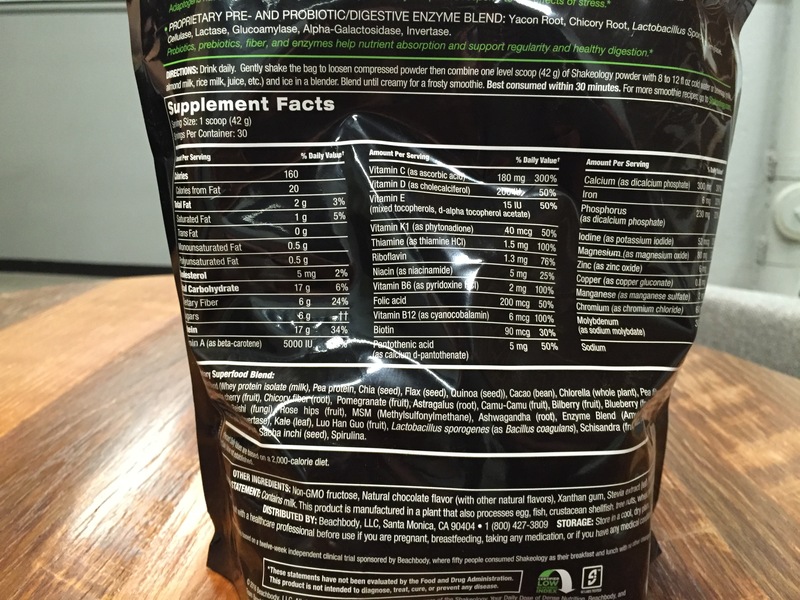 Shakeology & Power Greens Boost Review — Is This the Ultimate Post-Workout? Shakeology is the supplement arm of Beachbody Inc, the same company behind Tony Horton’s P90X program and Shaun T’s Insanity. 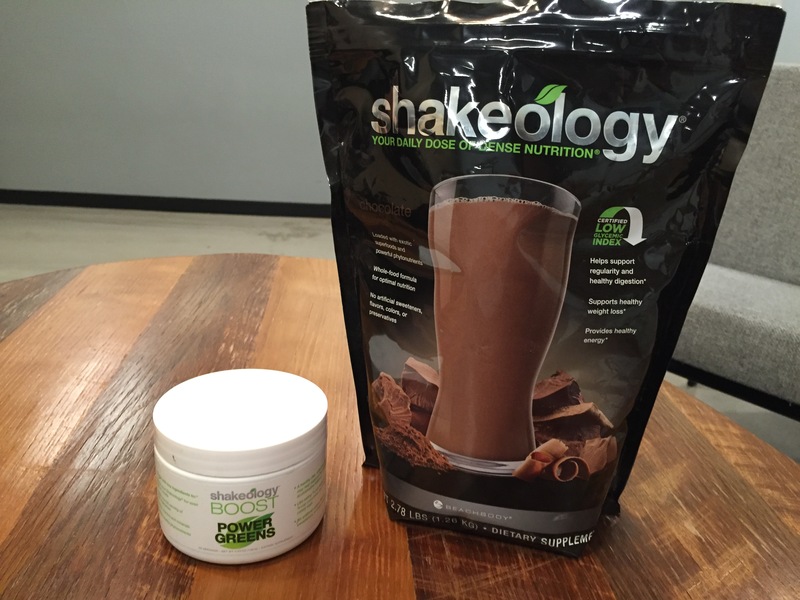 The goal of Shakeology is two-fold: to provide a protein shake and a multivitamin all rolled in together. This is a special review, because we’re reviewing both Shakeology and a supplement to Shakeology, a greens powder called Power Greens Boost. The idea is to add a scoop of Power Greens to your Shakeology shake to amplify its nutrition profile and provide extra vitamins and minerals. So, does it deliver the goods? Shakeology’s ingredients are broken down into four categories, all of which are proprietary blends, so I can’t tell you how many of each ingredient is included. Then there’s a “super-fruit/antioxidant blend” of pretty unusual foods like camu-camu (a South American berry that’s high in vitamin C), acerola cherry, bilberry, goji berry, and monkfruit. The third category is a “super-green/phytonutrient” blend of spirulina, spinach, kale, moringa and chlorella, which are pretty common in the average greens powder. The fourth is an “adaptogen blend” of herbs, roots, and mushrooms: ashwagandha, astragalus, cordyceps, maca, maitake, reishi, and schisandra. It’s intended to help the body adapt and respond to the effects of stress. Finally, there’s a blend of prebiotics, probiotics and digestive enzymes. There’s no information about how many probiotic bacteria it contains, but this blend likely exerts a positive effect on digestive health and nutrient absorption. One scoop contains 160 calories, 17 grams of protein, 17 grams of carbs, 6 grams of fiber, and 2 grams of fat. The Boost doubles down on the greens: one scoop contains five combined grams of spinach leaf powder, cucumber, chlorella, spirulina, celery stalk powder, and kale leaf powder. Note that Shakeology already contains spinach, chlorella, spirulina, and kale, though we don’t know in what amounts. One scoop provides 20 calories, 3 grams of carbohydrates, and 1 gram of protein. 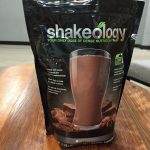 I tried chocolate, and while Shakeology is available in cafe latte, vanilla, strawberry, and “greenberry” flavors too, it’s hard to imagine flavors other than chocolate or cafe latte working well with the flavor profile. That’s because Shakeology, while very tasty, retains some of the earthy, nutty flavor that I can tell originates from the powdered vegetables and seaweed. The cocoa works well here and does a good job of balancing out the earthiness of the greens. It’s surprising how much a little teaspoon of greens powder can alter the taste of an entire large, chocolate protein shake. The entire flavor profile changes and the chocolate flavor, while works in a nice, subtle fashion to complement the greens in Shakeology, gives way to the grassy greens flavor. Remember that Shakeology already had to work to overcome the flavor of the seaweed and greens, and while it does that successfully on its own, it changes under the weight of all the greens once you stir in the Boost. The chocolate flavor becomes harder to detect and the experience becomes a bit less pleasant. Despite a conspicuous absence of grasses (like wheat and oat), Shakeology contains just about all the ingredients of your average greens powder: the spirulina, the chlorella, the probiotics, the digestive enzymes. It even contains some of the less common ingredients that some niche greens powders offer like ashwagandha (linked to cognitive benefits), astragalus (linked to circulatory and kidney health) and the mushroom varieties maitake, reishi, and cordyceps, which are labeled as adaptogens and may help the body recover from stress and exercise. 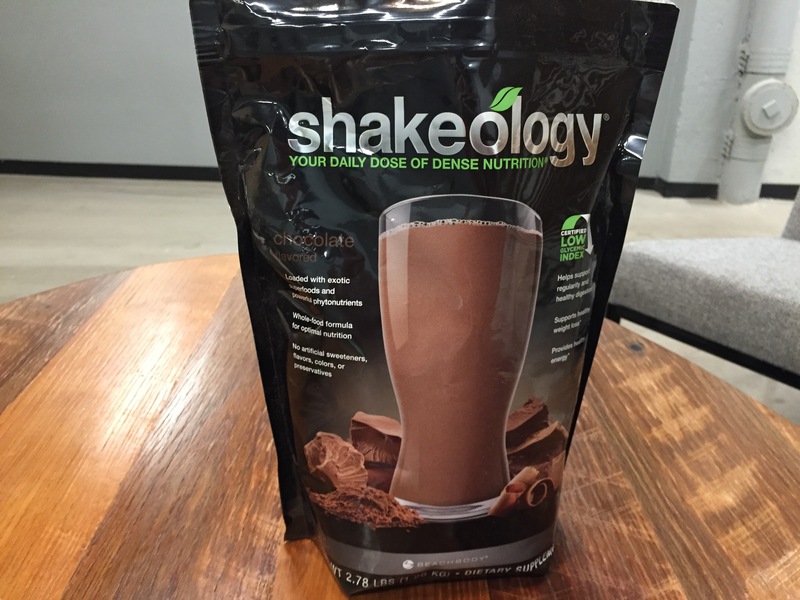 So, the ingredients are solid, but there’s no information about how much of each ingredient or even of each blend is present in a serving of Shakeology. 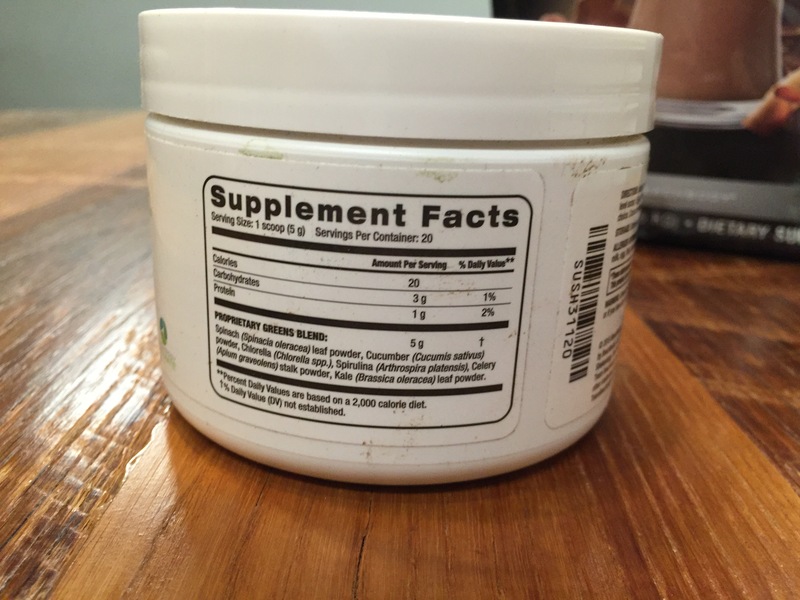 So while the volume of a serving is much higher than your average greens powder, it’s still impossible to know for sure if you’re receiving a clinically effective dose of anything. On a similar note, there’s no information as to how many probiotic bacteria are in a serving, either. But although there’s not a lot of information about dosages, there is a lot of information about the actual vitamins and minerals in the drink. To be honest, I value that a lot more, since the benefits of vitamins and minerals are more concrete and have more scientific consensus behind them than the herbs and roots. On that note, the nutrition profile of Shakeology is pretty impressive. One scoop delivers 100 percent of the recommended daily intake of Vitamins A, B6, B12, thiamine, and manganese, 50 percent of the recommended daily intake Vitamins D, E, K1, folic acid, panothenic acid, and chromium. There’s also thirty percent of your recommended intake of calcium and iron, and twenty percent of your daily magnesium. So if you’re purchasing Shakeology because you want the alleged benefits of ingredients like spirulina, ashwagandha, maca root, and so on, you might be frustrated by the fact that there’s no way to know if you’re getting an effective dose of any of them. If you’re purchasing Shakeology because you want a protein shake and a ton of vitamins and minerals, it could be the product for you. Shakeology impressed me, the Boost not so much. There’s actually not a lot to say about it because there’s not a lot of information to work with. It contains five grams of spinach, cucumber, chlorella. spirulina, celery, and kale, but unfortunately — in stark contrast to Shakeology — there’s zero nutritional information. The tub does promise to provide “one full serving of vegetables,” “vitamins and minerals,” and “healthy (plant-based) nutrients,” but there’s no info about the micronutrient, vitamin or mineral content. What are you really adding to your Shakeology? Honestly, you don’t know. Given the ingredients and rich green hue, you’re probably adding a decent amount of antioxidants and chlorophyll to your shake. But it would be nice to know for sure. A 2.78-pound bag of Shakeology provides thirty servings for about $130, which is $4.33 per serving. This product is on the expensive side for greens. It’s more expensive than Athletic Greens ($4.23 per serving), which is among the most expensive greens powders I’ve tried. Compare that with Onnit’s Earth Grown Nutrients ($2.30/serving), Patriot Power Greens ($1.96/serving) AI Sports Nutrition Red & Greens XT ($1.33/serving), Green Vibrance ($1.08/serving), ORAC-Energy Greens ($1/serving), PharmaFreak Greens Freak ($1/serving), All Day Energy Green Superfood ($0.96/serving), Sun Warrior’s Supergreens ($0.55/serving), and Amazing Grass’s Green Superfood ($0.52/serving). Now, Shakeology is very nutritious by the standards of greens powder, so it can potentially replace many vitamin supplements while doubling as a protein shake. In that regard, it may be worth the cost. $35 for twenty servings ($1.75 per serving) is obviously cheaper than Shakeology, but is isn’t so cheap for a greens powder (see the price comparison above), particularly when you take into account that Power Greens Boost is meant to be taken with Shakeology. So it’s asking you to pay $7.08 per serving while giving you barely any information about its actual nutritional content. While Shakeology is expensive, there’s an argument to be made that it may be worth it from a macro- and micro-nutrient perspective, particularly given the fact that it offers more vitamins, minerals and protein than your average greens powder. I don’t think that same argument is as strong with the Power Greens Boost. Shakeology delivers enough nutrition and costs enough as it is, and there’s not enough evidence or information regarding the nutrition in Power Greens Boost to justify purchasing it as well. I’d stick with Shakeology alone.